GAA fans, fancy a great night at ‘GAA Legends in the Garden’ in Everleigh Garden this Friday? 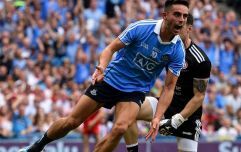 Ahead of the hotly anticipated All-Ireland football semi-final between Dublin and Donegal this weekend, there’s a great night in store for all GAA fans in Everleigh Garden on Friday night. Gaelic Football fans throughout the country are still recovering from the exhilarating contest delivered by Mayo and Kerry at Croke Park on Sunday and if Dublin and Donegal can deliver something similar this weekend, then we’re in for a treat. Well, the neutrals are anyway. Fans of both counties can expect to endure more than a few nervy moments but all in all, it’s all shaping up to be a classic. 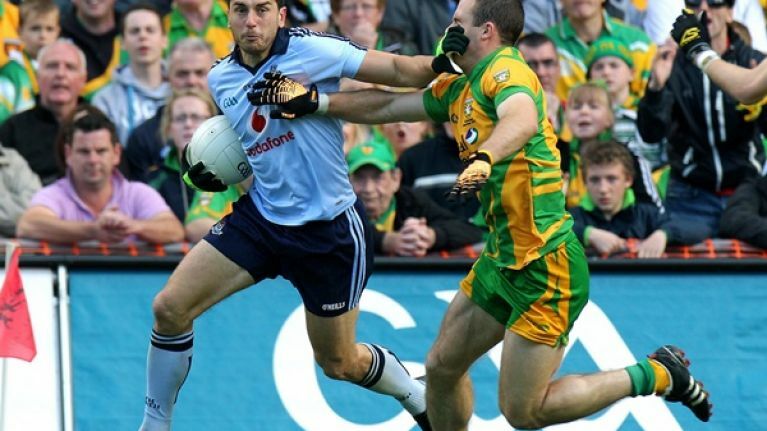 2011 All-Ireland semi-final all over again, anyone? That game is likely to be the subject of plenty of focus as the build-up gets into full swing this weekend and there’s no better way to get in the mood for Sunday than a visit to ‘GAA Legends in the Garden’ at Everleigh Garden in Harcourt Street this Friday night. Former All-Ireland winners Martin McHugh and Paul Bealin and Dublin legend Ray Cosgrave will be in attendance along with a number of additional special guests and as well as plenty of chat about what to expect from both camps, no doubt Martin will have to field a few questions about two trick ponies at some stage during the evening’s entertainment. As well as plenty of craic and talk about the match, guests will be able to avail of complimentary finger food provided by Captain Americas and the chance to win two tickets to the game, which will no doubt increasingly resemble gold dust the closer we get to the match. The event kicks-off at Everleigh Garden on Friday, August 29 at 7.30pm and if it sounds like your type of evening, head on over to the Everleigh Garden website for contact details and ensure you don’t miss out on what should be the perfect warm-up for the big one on Sunday. Also, we’ll be giving some tickets away to the event via our Twitter account over the next few days so keep an eye on that and you might even get a seat for free.